JACOBSON PRECAST CONCRETE, LLC offers exceptional products in addition to the superior service we provide to our customers. 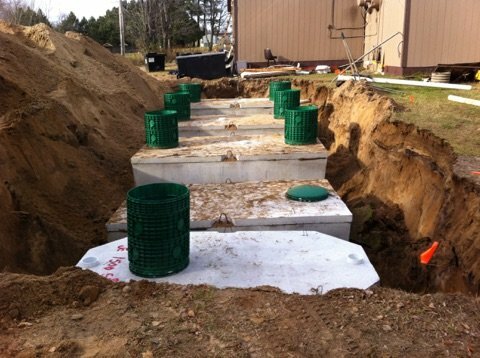 Not only are we known for our attention to detail and client-focused service, but our precast concrete septic and sewer tanks are leaders in the industry. Locally owned in Aitkin, MN, we have over 40 years of experience and proudly serve Central and North Eastern Minnesota. All of our tanks meet or exceed all manufacturing codes and are produced in a climate-controlled indoor plant. Certified with the Minnesota PCA, our tanks are created with the in-depth knowledge and expertise of our specialists to ensure the highest quality every time. Call us today to learn more or to place your order. We also offer prompt tank delivery and on-site installation.